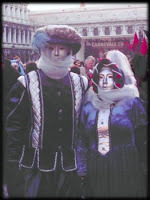 This site is based on our first-hand experience of taking part in the Carnevale de Venezia, and all the things we didn't know before we arrived. It's packed with information on how to take part in the carnival, and understand the kind of people who participate. Who goes to the Venice Carnival?